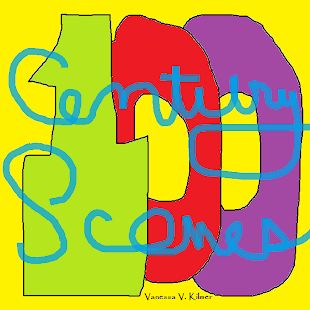 Century Scenes: Are You High? Detective Jason Broesch covered Sandra’s stocking clad feet with the hospital booties supplied by an EMT. He rose and stood back so the emergency worker could get to Sandra and check her vital signs. The female EMT asked Sandra if she were on any medications or currently taking over-the-counter or illegal substances, alcohol, any kind of drug. Sandra looked up through the backseat side window. The detective was the epitome on nonchalance but she suspected he was listening to the entire exchange. She was glad she could truthfully answer that her system was clean. She came by her insanity naturally.